May be you are marveled after hearing one stop solution or assuming all the IT supports from one company. Yes, we are announcing proudly that Tritiyo Limited is providing one stop solution to its customers. This one stop solution includes all types of website design and development, domain registration and hosting service, brochure design or company profile design, digital marketing and custom software for operating any business. It’s not the end, we also provide our ready products. Our ready products include HR software, Accounting software, Commercial software, POS software, Inventory management software and so on. Why do we focus on different ranges of products? Well, it’s bit difficult for some of the website design companies or software development companies to provide one stop IT solutions. But we feel that customers do not want the hassle. They consider picking up different services from different organizations as a hassle. That is why we introduced one stop solution where they can get all types of IT support from us. We provide all the services in a standard manner. We do not compromise the quality though we offer these services at an affordable price. Website development service comes first in our one stop IT solution. We offer everything regarding the website including design development, marketing, SEO, Hosting, domain registration and web application development. Our experienced and professional team members have made it possible. We execute different types of back-office IT support like, digital marketing, brochure or company profile design, website and software maintenance etc. 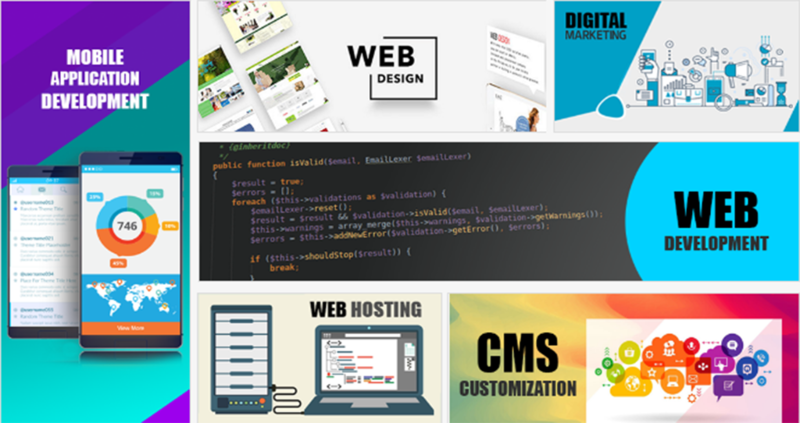 we have dedicated graphic designer, programmers, and digital marketers to execute these tasks. So if you want to become hassle-free and want to give quality time to your business, you can take the one stop solution for your business. Looking for the best website design company in Bangladesh?